This is an introductory, first-year textbook for students of events management and hospitality management - there are approximately 20,000 events management students in the UK alone. 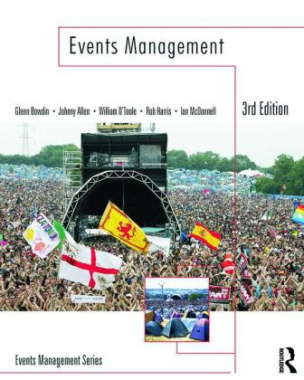 Unlike the competition, which does not cover the subject with sufficient breadth and depth, Events Management, 3e provides a complete resource with all the information a student needs about the principles and practices associated with planning, managing and staging events. The chapter structure has been revised, expanded and updated to reflect developments and changes in priorities in the marketplace: New chapter on Environmental Planning and Events New chapter on Perspective of Events Expanded content on the marketing of events Expanded content on the Law and Events Additional content on Risk and Occupational Health and Safety Management Revised and new international case studies /companion website provides: Learning objectives, links to organizations and companies discussed, figures, tables, case studies, references and updates.